Gas Metal Arc Welding (GMAW) process is leading in the development in arc welding process which is higher productivity and good in quality. In this study, the effects of different parameters on mechanical properties in mild steel that having the 6mm thickness of base metal by using gas metal arc welding will be investigated. The variables that choose in this study are arc voltage, welding current. The arc voltage and welding current were chosen as 22, 23, 24 and 25 V and 110, 120, 130 and 140 A respectively. Their effects are investigated in terms of mechanical properties using tensile, Brinell hardness, and Charpy impact test. Satheeshkumar Ponnusamy, Prabhu Natesan, Ramachandran K. "Experimental Investigation on MIG Welded Mild Steel." 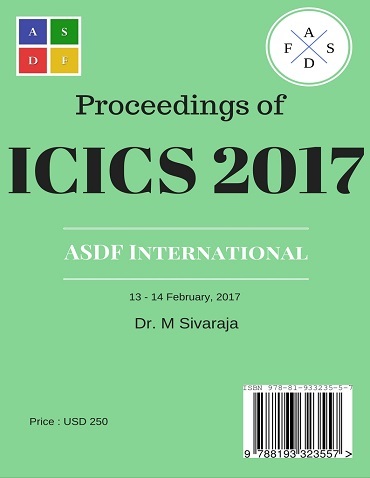 International Conference on Intelligent Computing and Systems (2017): 58. Print.